Running a race is a completely different experience from taking a casual jog around a track. Suiting up for an extended run also requires more than grabbing your pair of everyday sneakers. You need gear that would help you run better, feel light, and look great during a race. More than color, style, or model, picking out the pair that will provide your feet the most protection and comfort during a long run requires a careful analysis of your foot type based on the way you run. The easiest way to go about choosing the right pair for you is to head over to your favorite sports outlet or footwear store and follow VeryWell Fit’s guide to buying your first pair of running shoes. Afterward, check the in-store price against online prices in Zeus PH, Urban Athletics PH, Toby’s Sports, Capital, or Decathlon! Trying on the shoes in-store before buying them online at a lesser price also eliminates any fit or comfort worries you might have. Socks are a vital but often neglected factor in how comfortable you are during and after your run. Most runners wear their normal 100% cotton socks during marathons, which can cause blisters, chafing, discomfort due to continued dampness. When in doubt, always go for sports socks synthetic fabrics like polyester, acrylics, and Coolmax. Blends like the combed cotton/copper yarn mix found in Kodal’s Copper Antibacterial Athletic Socks for Men and Women are also good because they provide the qualities of typical synthetic fabrics (moisture-wicking, antibacterial, etc.) with added comfort. 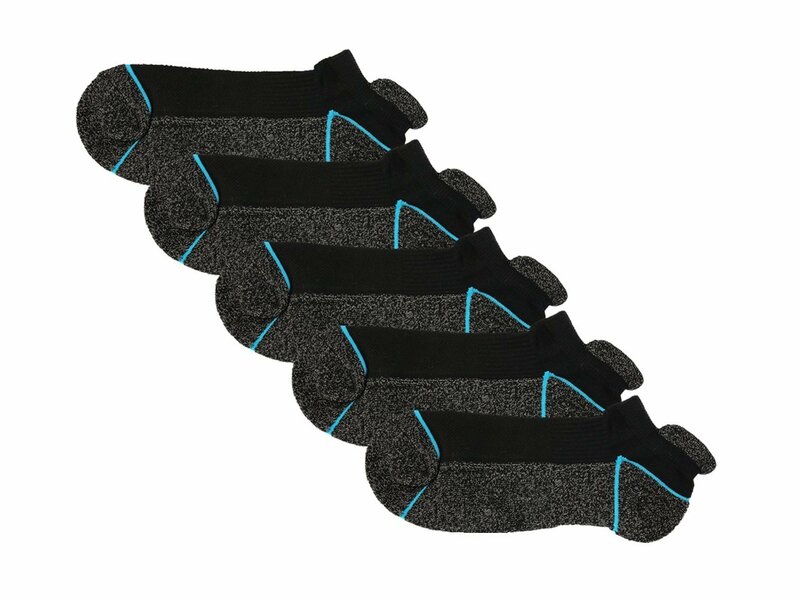 The key is to read product descriptions and buyer reviews closely to be sure that you get the qualities you’re looking for in a pair of athletic socks. Although most marathons will have a baggage check or locker area and many runners leave their gear in the car, small items like your keys, wallet, and phone need to be kept close to you at all times. The FlipBelt is essentially a lightweight, elastic belt with small hidden pockets to keep your valuables in. It’s one of the better running belts on the market, being machine-washable and designed to sit flat against your waist or hips. It beats a fanny pack any day! If you’re taking on long distances, it’s best to carry your own water in your running belt. Opt for one with built-in water bottle holders like the LotFancy Running Fuel Belt. It comes with two BPA-Free, 6oz. bottles and plenty of room for your valuables. It even fits the iPhone 6+, 7, 7+, and other similarly sized smartphones! 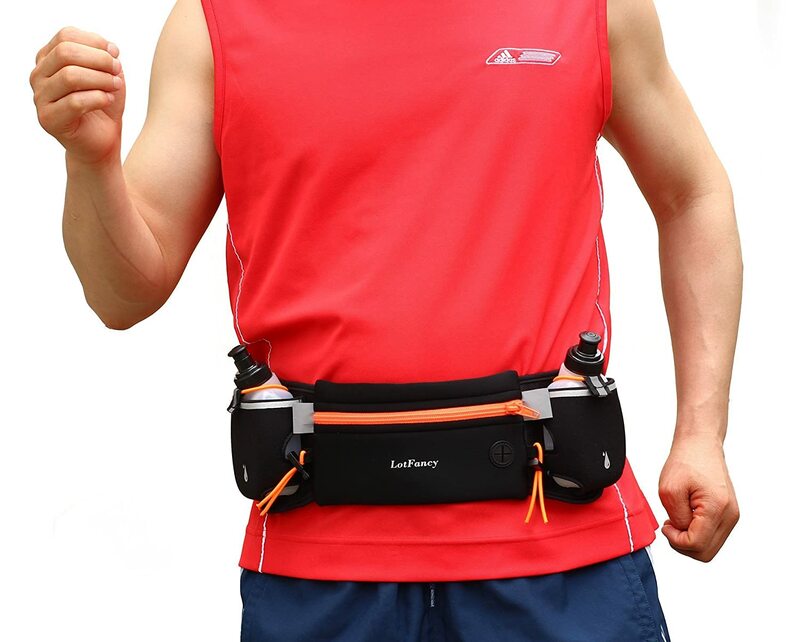 The belt you ultimately choose should be able to hold enough water to last you the entire race, so be sure you approve of the total water carrying capacity before purchasing one. Functionally, a GPS watch can do more for you than a simple stopwatch or fitness tracker. Apart from measuring your time and distance, it can also track your route and monitor your heart rate, depending on the brand and model. The smartphone-supported ONMOVE 220 GPS WATCH WHITE excels at helping runners measure and analyze their runs. It’s rated IPX7 for water resistance and also provides heart rate monitoring, guidance for interval training, and the option to set alarms. Sunblocks made specifically for running and outdoor sports are thicker, heavier formulas with higher SPF protection, and are made to stay on longer. SPF 50 and above ensures you’re guarded against the sun for the duration of your run. Spray-on formulas like the Neutrogena Cooldry Sport Sunscreen Spray are ideal for quick and easy reapplying mid- or post-race. The Cooldry Sport Sunscreen even comes in SPF 70 for added protection against UVA/UVB rays. If you’re more of a lotion person, thinksport Sunscreen SPF 50+ is a sport-strength, dermatologically-recommended option made with natural ingredients like sunflower oil, jojoba oil, and papaya. It’s water resistant for up to 80 minutes and doesn’t feel oily on the skin! thinksport SPF 50 Plus Sunscreen, 3 Oz. Test your new gear at the NatGeo Earth Day Run! Once you’ve got these basics in your race kit, you’re sure to have a fulfilling run ahead. Order them online with PayMaya in time for the upcoming NatGeo Earth Day Run, happening on the 22nd of April at the SM Mall of Asia. 3KM, 5KM, 10KM, and 21KM races are available to cater to runners of all levels. Pay for your registration using PayMaya QR and get P150 OFF! Find the NatGeo Earth Day Run booths at the following malls: SM Aura, SM MOA, and SM North Edsa.